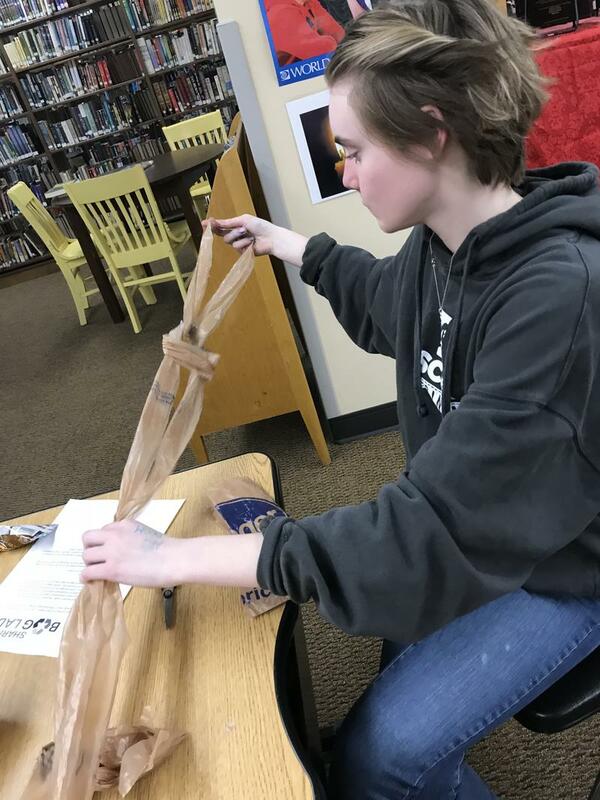 Students Gabriel Glover and Morgan Gupser making plarn. Maddie Whaley invited her mom Michelle to join in the fun. Shari demonstrates exactly how to cut the plastic bag in order to make plarn. The students catch on quickly. 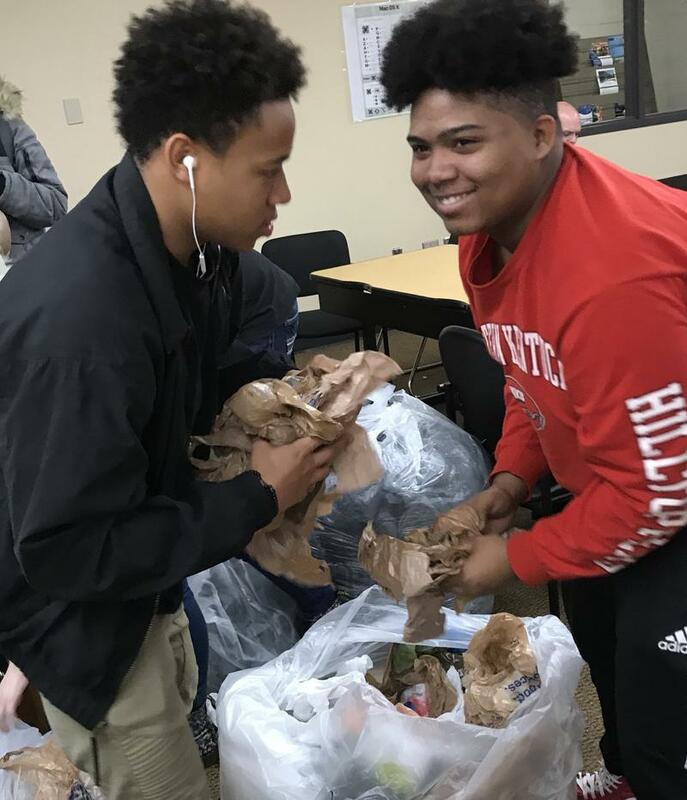 Students at Holmes High School collected 22 thousand plastic bags for the project. 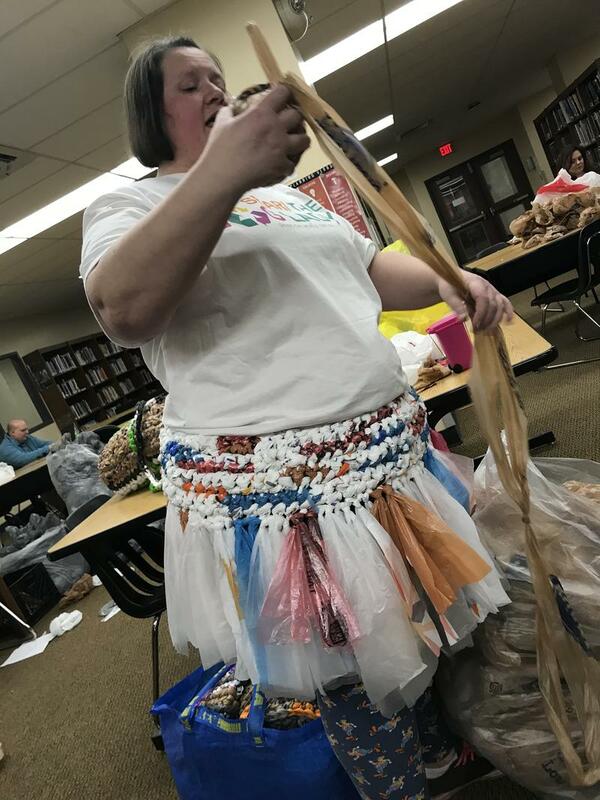 Holmes librarian Renata Kennison already has a clue about making plarn. A Northern Kentucky woman is making it her mission to help the homeless and the environment. The 43- year- old has a special nickname for a reason. That’s Shari Petrie, she’s passionate about upcycling plastic grocery bags and making them into mats or bedrolls for the homeless. That’s how she earned the nickname “the baglady”. Shari learned from a group of women in Burlington ,Kentucky. First, how to create what’s referred to as plarn or plastic yarn and then crochet it. 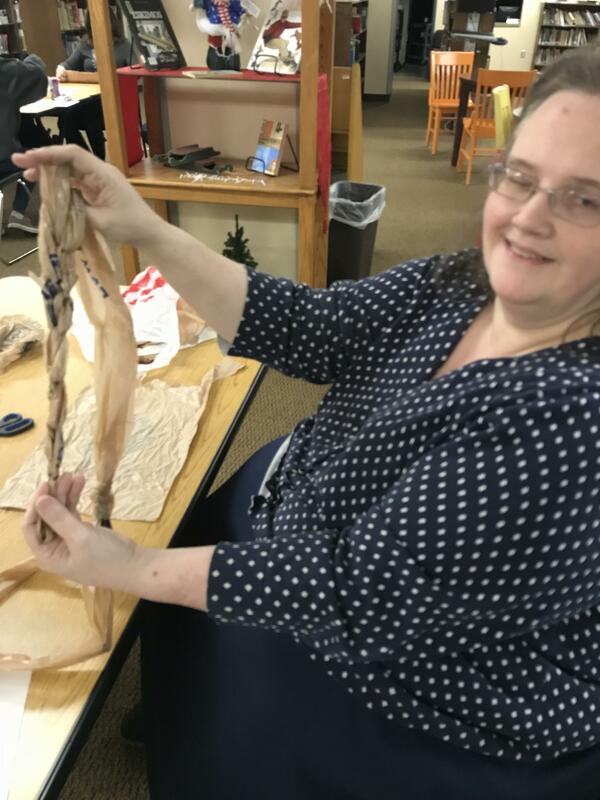 Shari’s booked with presentations at libraries, women’s clubs , scout troops and schools teaching others how to cut ,knot and eventually crochet the plastic bags into the final waterproof ,durable product. 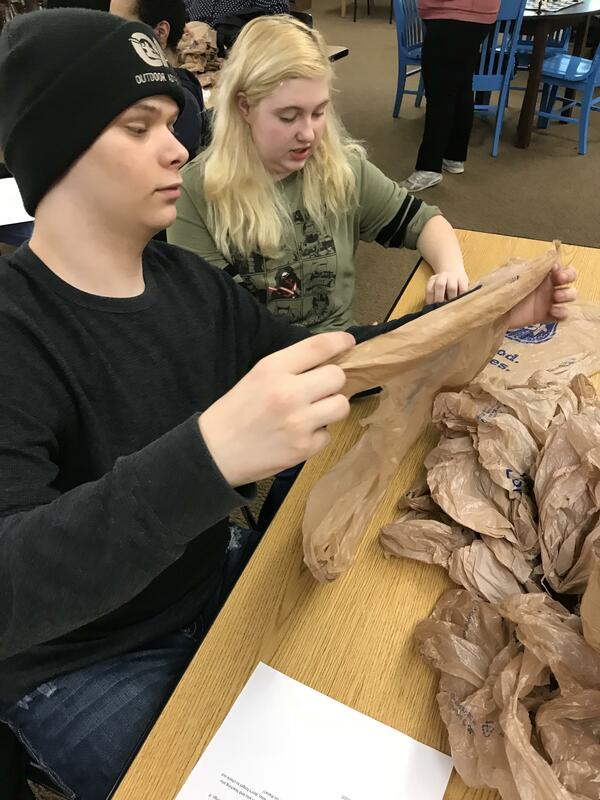 Students at Holmes High School in Covington like 10th grader Maddie Whaley are sorting the more than 22 thousand bags they’ve collected. 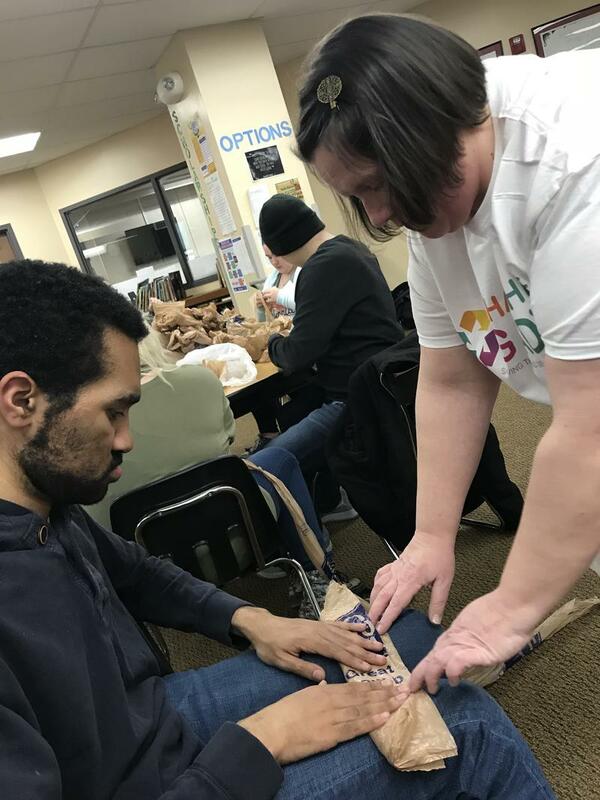 It takes between 700 and 1000 bags to make one mat which Shari distributes to groups in Lexington, Williamstown and Covington. She says the process isn’t difficult but is time consuming. 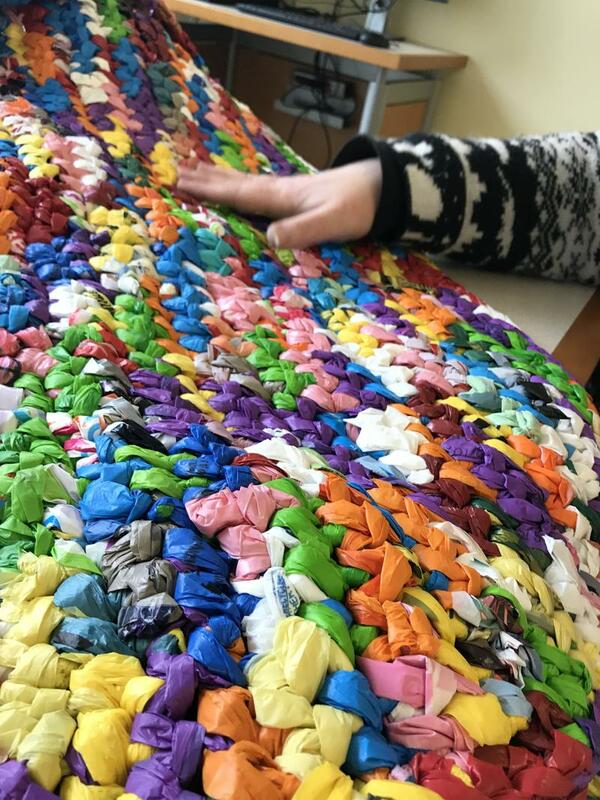 It takes her about two weeks to create one item, like a bedroll, pillow or cushion to sit on. She alternates the plastic bags so each item is colorful. 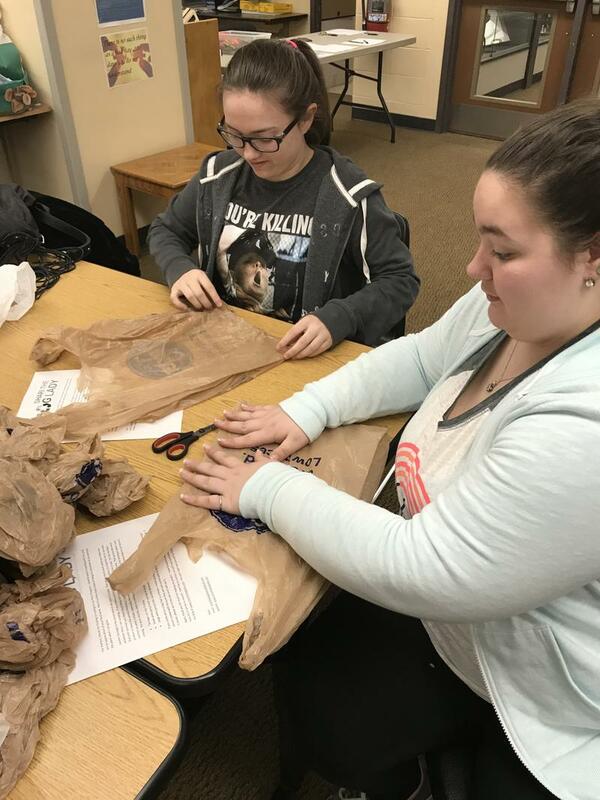 According to the Environmental Protection Agency people in the United States use more than 300 billion plastic bags or wrap every year. Testing one of the mats 17 –year- old Gabriel Glover says it’s a lot softer than he expected. He along with other students heard Shari’s message at one of the schools’ community service meetings. Homelessness effects more than 4000 people in Kentucky. 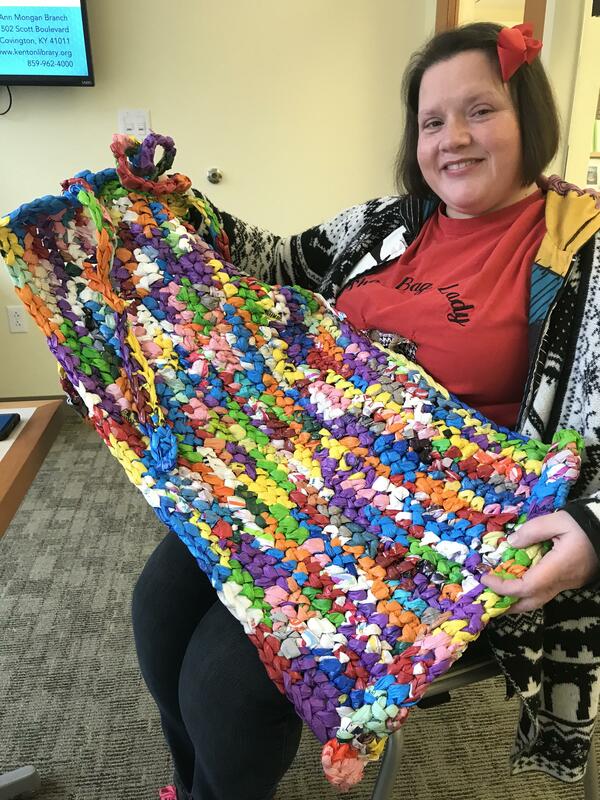 Adrienne Bush, executive director of the homeless and housing coalition of Kentucky says obviously housing is what solves homelessness but providing items like crocheted bedrolls, mats and pillows can be part of an engagement process. 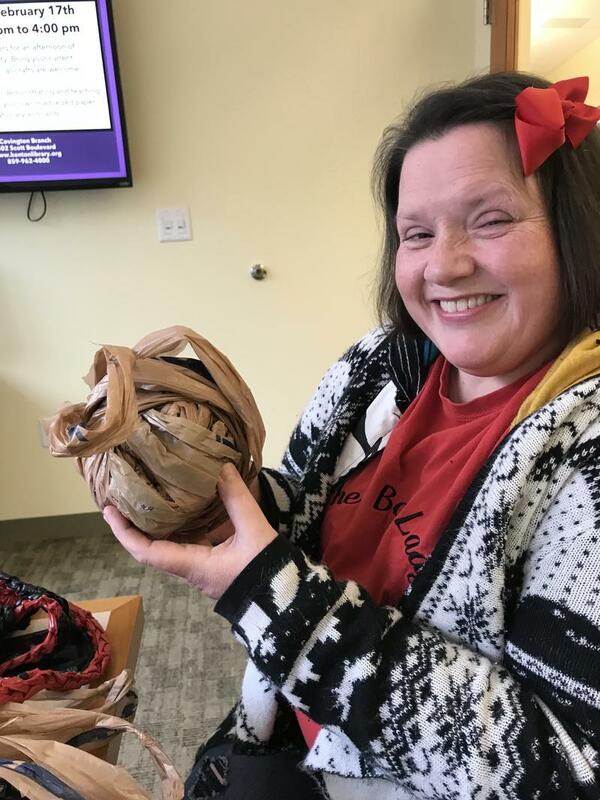 Making peoples’ lives a little easier has become Shari, the baglady’s mantra. 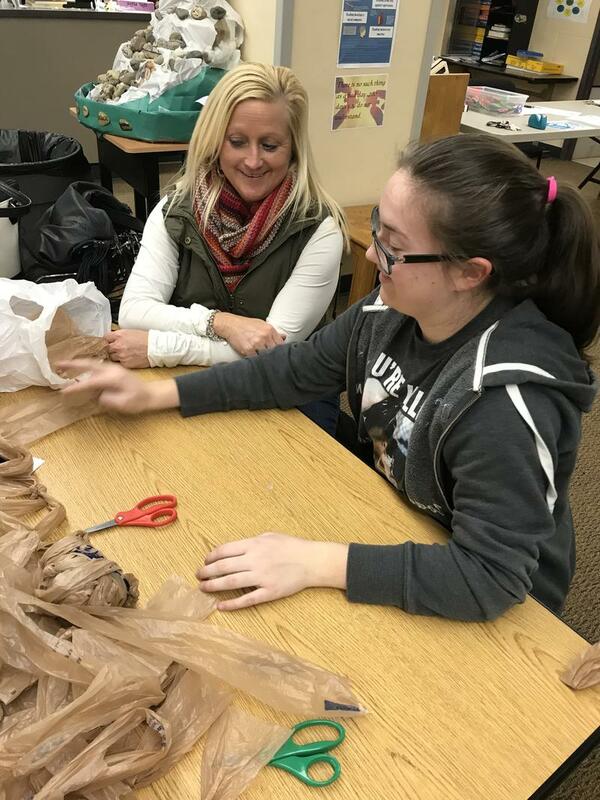 She’ll go anywhere to teach anyone how to transform plastic bags into useful items. Shari’s work is evolving . She has a website and she’s being recorded for a documentary while changing the world one bag at a time.